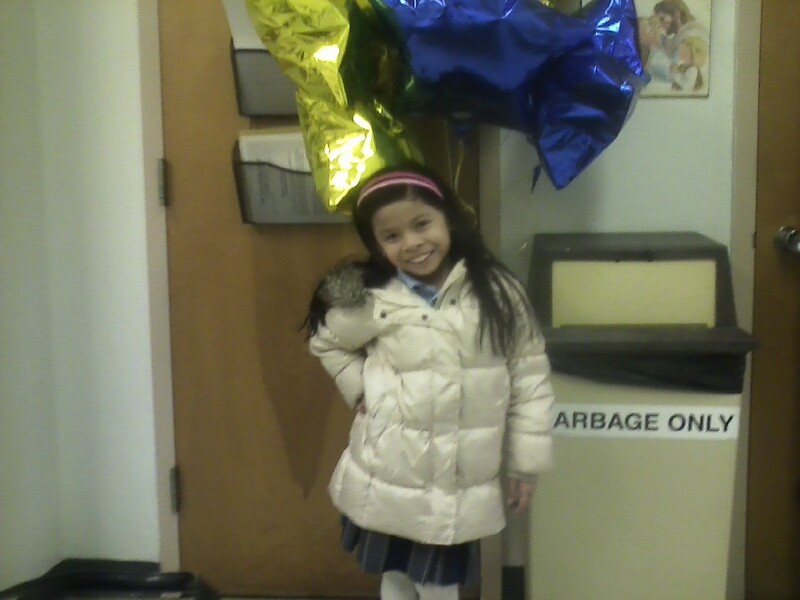 Jhailyn Farcon, a 2nd grader at Our Lady of Peace School in Fords, is enjoying her send off before she leaves to tour with the "Traveling Company of Billy Elliot" for the next 6 months with many stops including Connecticut and a stay in Brazil. Jhailyn has been a team member of the "Knick's City Kids" dance team in New York City for the last 2 years. She will be missed by her classmates and her 2nd Grade Teacher at Our Lady of Peace, Mrs. Daria Ludas and Principal Mrs, Fran Comiskey.